So, you’re running a business and the next step is to create a website. Can I build that website myself? And the simple answer is YES – of course you can! 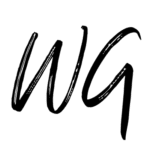 There are some amazing website builder packages out there that I recommend and use for my clients. My favourite two are Create and Squarespace, depending on what my clients actually need their website to do. Do I enjoy learning new skills and keeping those skills up to date? Can I spare the time to build the site myself? 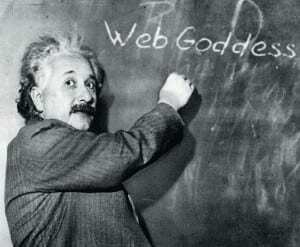 Do I know how to build a website that converts visitors to customers? Can I solve and technical issues that arise? 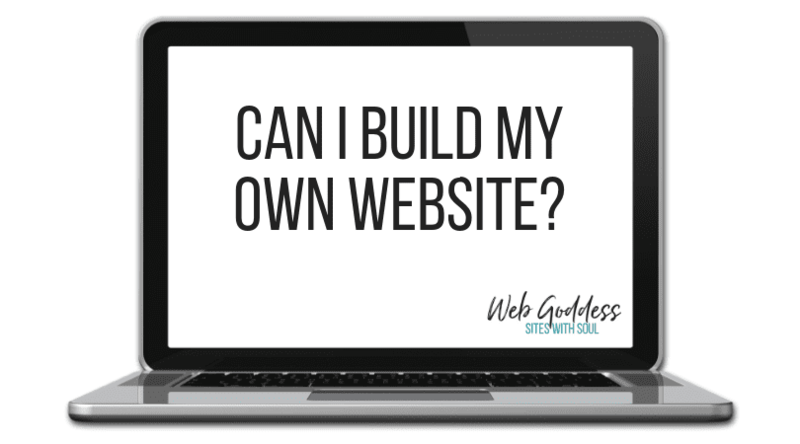 If you answered YES to most of these questions then off you pop and I hope that you enjoy the challenge of building a great site – I love it and I know you will too! If, however, you have answered NO to even some of these questions then I would argue that outsourcing your website will actually pay dividends in the long term. It will also free you up to spend time in your business doing the bits you really love. And, if after answering these questions you are still confused about whether to hire someone or not, ask for some advice. Contact a few different website companies and ask colleagues who already have websites for their thoughts on the best way to go. The more questions you ask BEFORE creating a website the better. If you need any help deciding or just want some honest obligation-free advice then please get in touch. What you may not have counted on when you went solo was the multiplication of skills required. Not only are you now doing the thing you love, the reason for your business, but you are now also the boss, administrator, customer service representative, accountant, web designer, publicist, sales manager, and chief coffee maker! It can all seem overwhelming and as your business grows and I hate to tell you, it’s only going to get worse. At some point, you are going to need to look at outsourcing one or more parts of your business if you’re going to maintain your sanity. You may have already decided that you need to do this, and I’m here to explain why I believe that outsourcing your website is one of the best things you can do for your business (unless, of course, you’re a web designer). I outsource something I don’t like doing, but you’ll have to read through to the end to find out what that is – and you probably won’t guess unless you’ve read my bio. 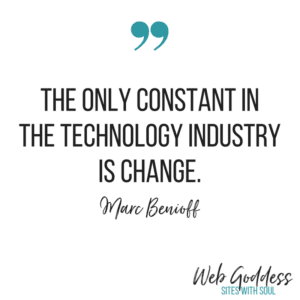 It doesn’t matter what industry you are in, times change. 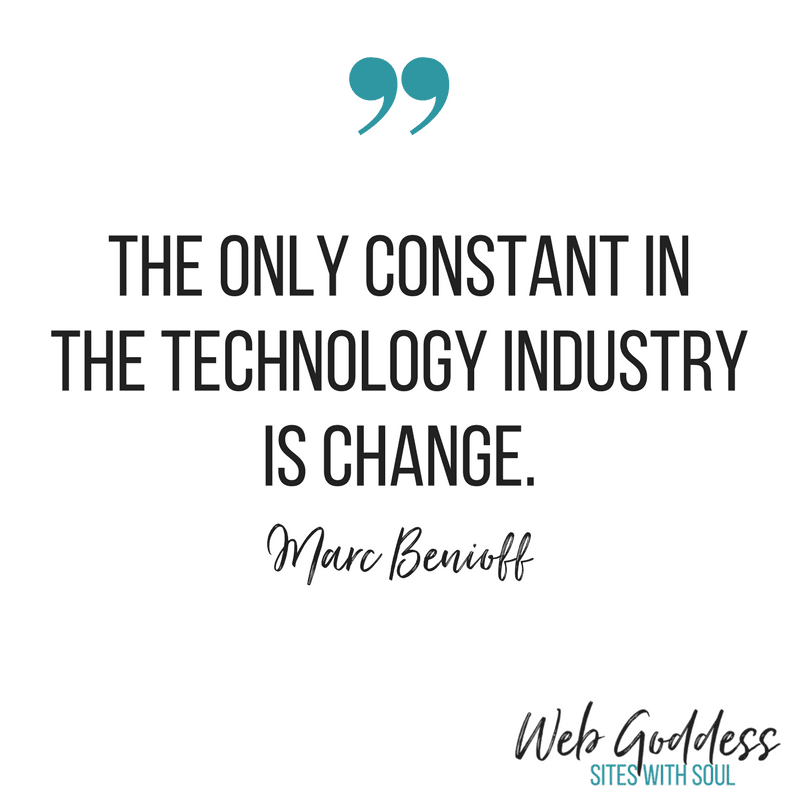 But in the field of technology the pace is relentless. Only 15 years ago I was teaching people to create websites using Microsoft FrontPage with scrolling text! Since November 2017, we’ve seen mobiles and overtake desktops as people’s preferred means of surfing the web so mobile responsivity isn’t just something that would be nice for your website, it’s a must-have. Companies like Google (who were relatively unheard of when I first started working – anyone remember Ask Jeeves??) are now part of the English language. Did you know that to ‘google’ is now officially a verb in the English Oxford dictionary? The power of this enormous company also means that your ranking on their search engine is completely down to their algorithms – which they can change at a moment’s notice. And the speed of change is only going to continue. Do you want to keep on top of all of the changes – or do you want to have someone who loves the changes and will do the work for you? They have built it themselves and not looked at it since it was published way back in 2005 (see my point about technology keeps changing!). They have entrusted it to a web designer who promised the earth but delivered manure. As with everything you do for your business, take the time to get quotes and interview different web designers. We’re not all created equal and you need to make sure you have a great working relationship with your designer and that they really ‘get’ you and your business. I am a huge fan of focussing on your strengths and not trying to be everything to everyone. This has taken me a very long time to figure out but I am pleased to say that with the help of Marcus Buckingham and his Strengths Revolution I now know what I’m awesome at and what I should really leave to someone else (who is awesome at what I’m not). If you want to figure out what your strengths are, then I highly recommend taking the Strengths Finder test. It confirmed what I already knew about myself and helped me clarify my business and personal life – and stop worrying about what I’m not good at. In terms of your website this is really important. 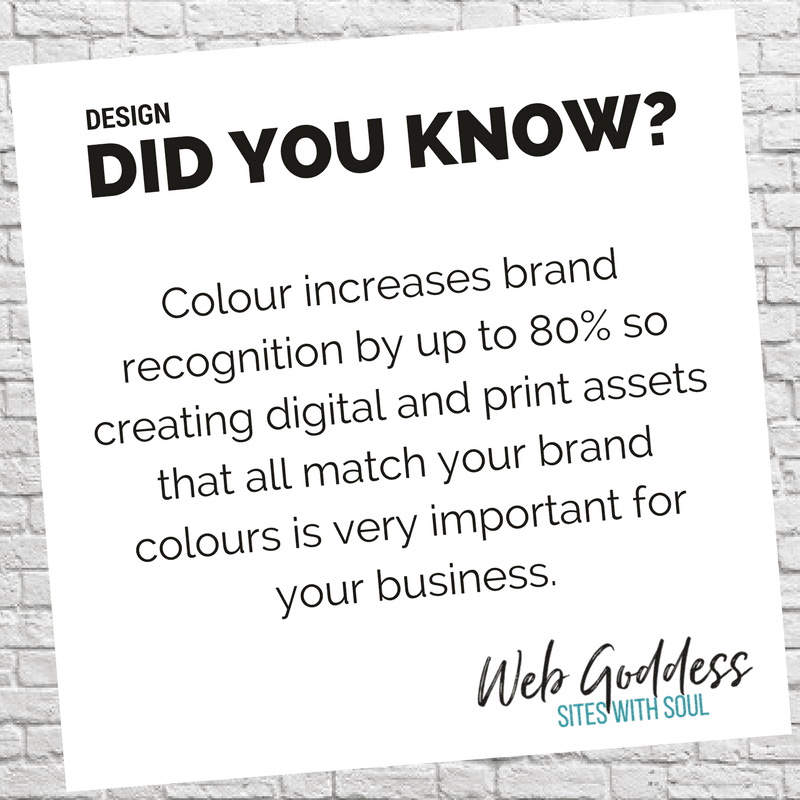 If you don’t LOVE logging into your website and updating it or taking time to check the colours or the coding then you should really consider giving the work to someone who does. Like me! It will free you up to do the things you’re actually great at and bring even greater success to your business. Time is money when it comes to running your business so instead of looking at the cost of a new website and cringing, think about how many hours of YOUR time getting a website built for you will free up. So what do I outsource? Have you guessed? Does Your Website Pay for Itself? For anyone with a product-based business, selling online is relatively straightforward. In fact it should easily cover the cost of maintaining a website in the first place. But for those running serviced-based businesses, recouping the cost of your website may seem impossible. If you run workshops, speaking events or courses, consider setting up an online booking system for these. People who would not otherwise email or call will often book online through your website. This is one of my favourite ways to book because it is instant and can be done at any time of day. Integrate your own calendar of events or use services such as Eventbrite or TicketSource to manage your bookings. For smaller events, you can simply add tickets to a shop on your website (such as on the Create platform). Sharing these through your social media channels will spread your message further still. For my own Digital Training I use a WordPress plugin called Events Manager Pro. It links directly with my Paypal account and allows me to track bookings straight through the site for both online and offline payments. Affiliate marketing is BIG BUSINESS! If you use a product or service and you love it, then why not consider becoming an affiliate for them. Every time someone clicks through your website to theirs and makes a purchase you get a small percentage of that sale. Each affiliate program is completely different and I would only ever recommend signing up for programs that you honestly believe. It’s your reputation on the line as much as theirs! I’m an affiliate for Create because I love their website builder and use it for lots of my clients and also for Danielle LaPorte as I LOVE her products. You can also find affiliate programs for many of the larger online retailers such as Amazon or you could think of setting up your own program for others to recommend your products and services! If you have a program or book that you can sell online as a digital product then this can also bring in a great residual income. It often requires very little effort (after you’ve created it of course!). Just be aware that if you are located in the UK and sell to a consumer in any other EU country, you will fall into the messy business of VAT-MOSS. Now I’m no expert on this at all so it’s worth checking out the HMRC Website and speaking to your accountant. It applies to supplying things like ebooks, templates, apps and purely online courses. You can get around this by selling through a third party that is already set up for VAT-MOSS such as Etsy. They collect the VAT and pay it for you. I actually run a hobby business completely set up with digital products and it’s definitely worth it. Implementing just one of these ideas on your website can cover the annual cost of your site without costing you too much time or effort. And of course there are many, many more ways to leverage your website such as membership sites, creating a YouTube channel, creating apps and licensing your own programs – this list is just the tip of the online iceberg! #1 HOW TO – pick something you know how to do and explain how to do it – pictures help with this one too. #2 MAKE A VIDEO – known as a vlog, this can be a welcome change from text, text and more text. I must admit that I have not done this yet, but it is on my list for this month!! #3 SHARE A DOWNLOAD – a short post to a download or printable – everyone loves getting something for free! #4 BACKGROUND – tell your readers a bit about yourself and why you do what you do. Prove you’re a human just like them. #6 BREAKTHROUGH – share a breakthrough you’ve had with your readers. It gives them a sense of hope that if you can do it, so can they. #7 A DAY IN THE LIFE – it’s often the day to day stuff that your readers are most interested in, so take some photos and blog about your daily routine. The amazing lady behind Snapdragon has changed her focus to ‘behind the scenes’ and it’s definitely far more enticing than the normal sales patter from everyone else… I love her stuff anyway, but sharing how her business runs is why I now actively read her newsletters! #8 QUESTION – ask your readers a question. It could be anything. How they deal with a problem, where they have stayed on holiday, what they think of Vegemite (horrible, horrible stuff, even though I’m Australian I can’t stand it). It makes your readers feel that they are a part of your business and that you care about what they think. #9 BLOGGER FEATURE – do you love other blogs? Write a post about a blog you’ve been reading and share their link too. Contact them to let them know and you may get even more traffic. #10 LIST – anything will do – a list of your favourite productivity tools, your favourite essential oils, your favourite dog breeds – whatever fits your blog. #11 REVIEW – a product, book, film, person. Be brave. Put your views online and let others know what you think. #12 TOP TIPS – a staple of the blogging world, adding your top tips on a topic is an easy blog option. #13 GUEST BLOGGER – invite a friend, relative or amazing celebrity to write a guest post. #14 A-Z – an alphabetical list for your business, sector or specialty, whatever that may be – the A-Z of Chocolate, or the A-Z of Advertising. #15 MAKEOVER – everyone loves a before and after (me included) so make sure you have your camera ready while everything’s still crappy looking and don’t be afraid to share your makeover triumph with the world! Again, pop over to Sue’s blog – The World of Suzy Homemaker – for some of my favourites!! #16 INSPIRATION – Who inspires you? Share your own opinions on why they do and how they have inspired you. #17 CASE STUDY – What have you done in your business? Who have you helped? Write a post sharing how your business has made their life better. #18 RUN A CONTEST – well, we all love to win something don’t we??? Here’s some inspiration from a company I love – HuggetUK – they ran a Mother’s Day contest this year and gave away 5 of their gorgeous jackets to deserving mums based on letters from their the children saying why their mum should have one. Although most of the winners were local, one mum lived over 100 miles away so the blog and product had a wide reach. #19 TRADE SECRETS – share something that you do that makes your business amazing. It doesn’t have to be your family’s secret recipe, just an insight into how you do your job. Again, we think everyone knows this stuff, but they don’t because they are too busy doing what they do best! #21 POEM – Ah, we are all poets at heart… even if your poems are rude and obnoxious! Get them out there or share some funny ones from your industry. #22 TBT – write a ‘Throw Back Thursday’ post sharing something about yourself when you were younger. Always good for a laugh as well as a great way to show you’re human! 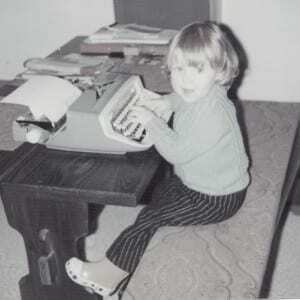 Here’s a pic of me to show I was young once too… Two years old and already obsessed with getting my message out! #23 MYTH BUSTING – one of my favourites! Choose a common misconception and bust it right open. Go on, you know you want to!! #24 RUN A GIVEAWAY – a little different than a contest, this one allows people to enter just by sharing, liking or commenting and is great to link to your social media channels for extra punch. #25 REBLOG – share something you’ve written before – there’s nothing wrong with sharing your skills again as visitors aren’t likely to scroll through your entire blogroll to find something. #27 UPSETS – show you are human. This blog from Sarah Prout shows you how to turn a very nasty comment into something your readers will want to read and it lets you get your feelings out too. I did something similar with my What Do You Do When Life Sends You Lemons post recently and it got huge engagement with people who could relate. #28 UPDATE – share an update or solution to an old blog post. Is there something you were moaning about in the past that you’ve now solved? Let everyone know. Again, you assume they all know this but all too often they don’t! #31 MELTDOWN MOMENT – just as you would share your successes, share your meltdown moments too. You are fallible, you do make mistakes and your readers will thank you for your honesty. #34 BUILD YOUR LIST – write a post reminding readers that if they join your email list they will get something – FOR FREE!!! Oh how we love free stuff, even if we never read it or use it…. #35 POPULAR POSTS – yes, once you have been blogging for a while (under 6 months if you do it every week) you can post a blog about your most popular post. Simples. #36 BLOG ABOUT BLOGS – like this one?! Well, yes… Blog about blogging, why not?! #37 PRODUCT KNOWLEDGE – I have heard so many times recently that ‘People buy People’ and it is so true. So even if you are in a MLM business you can make a difference. Just like my Neal’s Yard Consultant, Harriet. She is part of an enormous network marketing company and yet I buy from her because she not only uses the products she sells, but can identify the benefits for her clients and truly understands the MLM model. So much so that she sold 5 of their biggest earners in one small networking meeting last December because we all loved her story about how much it had helped her. Go Harriet!!! #40 DOWN MEMORY LANE – a little like the #22 TBT post, but featuring something from your industry that people will remember. Like when we all stored information on floppy disks! You can then make comparisons showing how far we’ve come since the ‘good old days’. 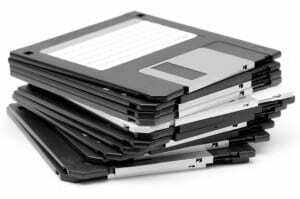 Back in 1984 a 3½ inch floppy disk stored a massive 880 KB to use on my Amiga! #41 PETS – if you have one, they make great blog content. Take some pictures of them helping you at work, or write a ‘day in the life of…’ post. Cuteness overload will bring more visitors to your blog too. #42 RECAP – I use this one for talks I give at various networking groups. By recapping the content and putting it online, I can use the material twice. Like my First Steps to a New Website post and The 5 B’s of Creating a Business with Soul post over on my other site. #43 STEP BY STEP – Similar to tips, but broken down into a step by step post, share exactly how you would do a task, like my 5 Steps to Improve Your SEO post. #44 FAQs – do you get asked the same thing over and over again? 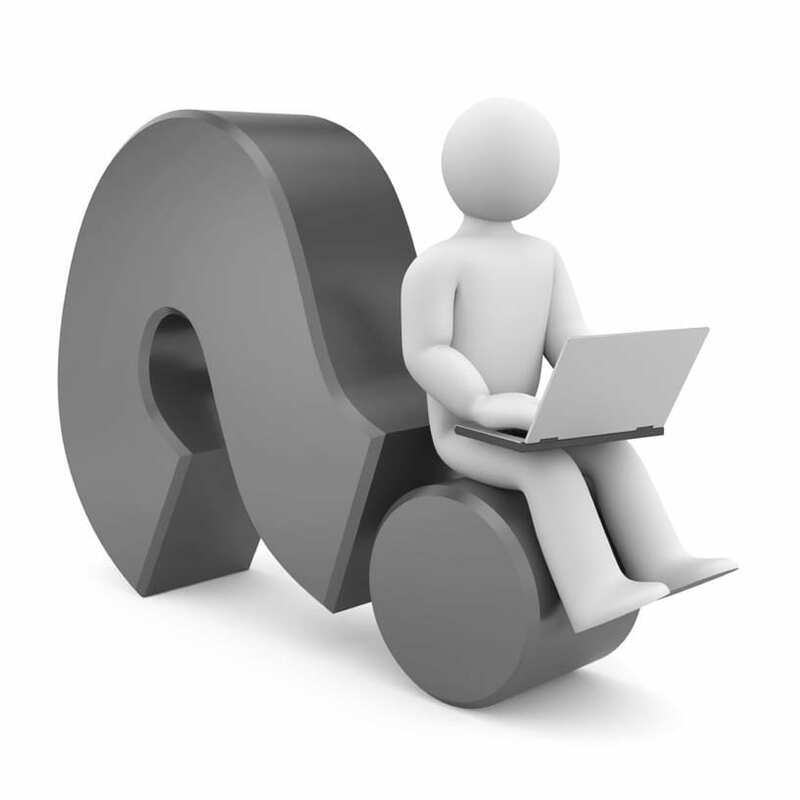 Dedicate a blog post to your most frequently asked questions. #45 INTERVIEW – ask someone inspiring some questions and use their answers as your blog post. You could interview them about a certain topic related to your industry or how they became successful in their own field. #46 HACKS – give time saving tips or a specific job hack for your industry. There are entire blogs devoted to this in the DIY arena, like IKEA Hackers who showcase clever ideas and hacks for IKEA furniture. #47 CHALLENGES – share a challenge with your readers. Maybe you’re having a social media blackout or not eating meat for a month. Share your progress and challenge your readers to join you. #48 PRODUCT FOCUS – if you sell physical items, blog about the advantages or features of a specific product. It shows you know what you’re selling and may ultimately lead to more sales. #49 BIRTHDAYS – celebrate your blog/business/own birthday with a blog post. Include a cake picture or some balloons to make it cheerful! #50 TRY SOMETHING NEW – whether you’re trying sushi for the first time or going overseas to somewhere you’ve never been, share your experiences of trying something new. You’ve decided that you need a new website. If you are in business then having a website is a must, so this is a great idea. But problems arise when you rush into your site without knowing all of the options and the best way to go about getting your message out there. In my experience this is where people trip over. They are in such a hurry to create a new site that they leave their logical brain at home! You really need to stop and think at this point and I recommend turning your PC off and doing a bit of old fashioned planning on paper – yes, paper! What is the purpose of your website? Think about who your customers are, what you’re trying to achieve with the website and what you intend to do once it is up and running. Are you going to blog? Be honest and build a site that fits YOU – not what some techie has decided is the ‘norm’. Do you want to/are you capable of designing it yourself?! It is important to realise that just because you CAN, doesn’t mean you SHOULD!! If it doesn’t interest you, then paying someone to design it for you while you work on other elements of your business would be a better investment than doing it yourself. You can always take over once the initial build is complete! Step 3 – Get some advice!! If you’ve taken some time to think about what you want, make sure you talk to a few designers who will give you honest feedback and costs associated with your site. You should ask them about accessibility once the site is built (the biggest complaint I hear from new clients is that they have had little or very limited access to their sites in the past), ongoing costs and what happens when the platform they are using needs to be upgraded. They should also be able to advise you about building it yourself – without making you feel like you are doing something wrong. If your designer can explain all of this to you and be honest about any limitations of their service, you’re on to a winner! So, that’s it. My first steps to creating a website. Of course there is far more to it and I will get to some of that in future posts. This blog post was taken from a recent presentation I gave at a Women in Rural Enterprise Network meeting. If you would like me to speak at a meeting you are organising in Staffordshire or Derbyshire then please get in touch.